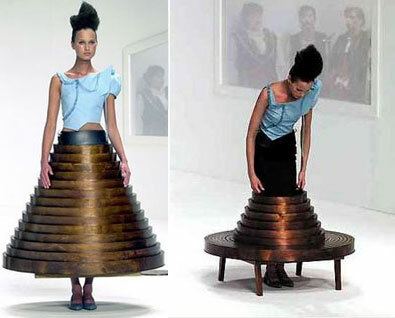 Have YOU ever worn a table? 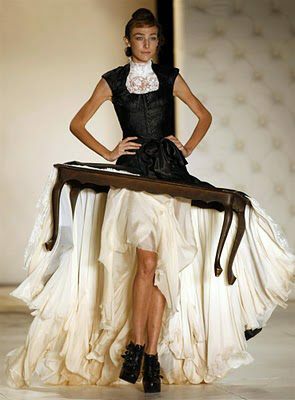 See what others are doing to tables on Thursday Tablescapes... and check out what's new on Reading is Fashionable! Looking forward to many more of your fabulous posts and ART. Wow these are such fun and made me smile! Absolutely, insane... but I wouldn't mind to wear the first one. 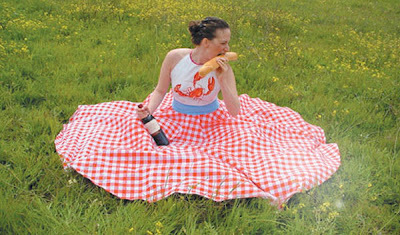 Fifi, these are so creative, and they made me laugh, too. These are too cute. I hope you had a most magical Christmas and New Year, mon ami. Oh wow! These are pretty crazy! Uncomfortable to wear I bet. Except for the first one. That would be fun! I would to see you do a Moroccan tea. My husband is Moroccan & they are famous for their mint tea. It is served in moroccan tea glasses.